Please read the following terms and conditions carefully before submitting work for the competition. You will be prompted to agree to the Terms and Conditions before you submit an entry. By making a payment for your entry you agree that you have accepted these Terms and Condition. 1.1.1. To submit work to the competition entrants must register or sign in with their AOI account by entering their name and email address into the registration form. The website will auto-generate a password to login to the site and access the entry form. 1.1.2. These login details should be kept safe, as they will be required again if an entry is shortlisted. 1.2.1. Works to the Awards must be entered via the dedicated online form by the end of the final deadline day. Works entered after this date will be included in the competition at the discretion of AOI staff. The decision of the AOI will be final. 1.2.2. Entrants can make an unlimited number of entries. 1.2.3. Only entries that have been paid for by the final deadline will be considered for the competition. A third party such as a commissioner (entering work they have commissioned from an illustrator), agent (a representative of the illustrator) or tutor (for example a University lecturer or supervisor) where they have the permission of the illustrator to do so. Professional, defined as work by a professional illustrator. A Multiple Entry (up to five images from the same project per entry, or a combination of images and direct link URLs from the same project). Multiple Entries should be used to showcase different elements of the same project (e.g. book cover plus inside spreads, a series of gifs for a website campaign, different angles of a mural etc.). 1.2.7. Work can be entered into any category by New Talent or Professional entrants that has been commissioned (e.g. by a publisher, editor, business), or that the illustrator has initiated themselves (e.g. for their portfolio, website, or to test new ideas). The entrant will be asked to declare the commissioner’s details. Works entered with the illustrator’s own details listed as the commissioner will be changed to uncommissioned status. 1.2.8. Images must be submitted in .jpg, .gif or .png formats (not .jpeg). Images can be up to 4MB and 3000px wide. 1.2.9. URLs should be direct links to moving image work (e.g. a YouTube or Vimeo link direct to the work). URLs must not be links to general websites or password protected and will not be considered if so. Ineligible or broken URL links will be removed from entries prior to viewing by the judges. Either Single or Multiple Entries can be entered into any category. 1.2.11. Projects can be entered into more than one category as separate entries, and need to be uploaded individually. 1.2.12. The Awards are international and open to illustrators working in any medium, context or geographical location. 1.2.13. The Awards are open to illustrators aged 18 or over. 1.2.14. Entries must have been created or published during the 2018 calendar year and up until the final deadline of the competition. 1.2.15. Entries may not be submitted by current members of staff at the AOI or current members of the AOI’s Board of Directors, current AOI Patrons or directly by this year’s Judges. 1.2.16. Work commissioned by the AOI cannot be entered into the competition. 1.3.1. Entries to the Awards will only be submitted once payment has been made. Entry fees can be paid in three currencies: GB Pounds (£), US Dollars ($) and Euros (€). Any other currency will be converted by your card issuer at point of payment. Conversion rates apply and vary for entries made in other currencies. Please check with your bank. 1.3.3. Current AOI members at the time of payment are eligible for a 20% discount per entry, on an unlimited number of entries. 1.3.4. Entry fees are non-refundable. 1.4.1. The entrant warrants (guarantees) to the AOI that they have the right to submit work, that the image is original and does not infringe the rights of any other party. The entrant will indemnify and keep the AOI indemnified against all claims, demands, actions, suits, proceedings, losses and costs (including any legal costs or reasonable expenses properly incurred and any compensation, costs and disbursements paid by the AOI on the advice of the AOI’s legal advisers to compromise or settle any claim) occasioned to the AOI in consequence of any breach or alleged breach of this warranty. 2.1.1. First round judging is completed online. All entries are presented anonymously. The category jury (made up of three judges) views the entries per category and the supporting information. Work is marked as either ‘yes’ or ‘no’ for shortlisting. 2.1.3. Approximately 200 works in total will be shortlisted from all entries on a pro-rata basis by category. 2.1.4. Entrants will be notified of the outcome of their entry via email. The judges’ decision is final. 2.2.1. Entries selected as potential Category Winners are reviewed and discussed in round two by the category jury. The category jury selects a New Talent and a Professional Winner and a New Talent and Professional Highly Commended in each category. 2.2.2. The AOI reserves the right not to present an Award if the quality of entries in a particular category is deemed not high enough. 2.2.3. Category Winners will be notified of their selection in advance of the Awards Ceremony. 2.3.1. The final round of judging takes place after the category winners have been selected. The Overall Winners are announced for the first time at the Awards ceremony. 2.3.2. All 24 Judges view all Category Winning work, discuss and vote for the Overall Winners. 2.3.3. The AOI reserves the right not to present an Overall Award if the quality of entries is deemed not high enough. 2.3.4. Overall New Talent and Professional Awards are presented for work that the judges consider to have made the most significant contribution to illustration in the time covered by the competition. 2.4.1. Any shortlisted AOI member (with a live membership May 2019 – July 2019) is eligible for consideration of the inaugural AOI Members Award, which will be awarded by an internal team at the AOI for the most engaging illustration by an AOI member. 2.5.1. The Society of Artists Agents Award for New Talent will be judged by a panel of three SAA members from the shortlisted entries. 2.6.1. The Directory of Illustration Award will be chosen from the shortlisted entries by a panel of DI staff including Elizabeth Owen, President of Serbin Creative, Inc; Ellie Altomare, Illustration Marketing Consultant, Directory of Illustration and Medical Illustration & Animation; and Jo Ann Miller, Illustration Marketing Consultant, Directory of Illustration. 3.1.1. All shortlisted entries will be included in the Awards section of the AOI website with a dedicated page per shortlisted project. This will consist of the information submitted at the time of entry. Entrants will be given the opportunity to edit their entries prior to this going live. Amendments made after the shortlist goes live can only be made by AOI staff, and may take up to 5 working days to action. 3.1.2. Award Winners (Category winners and cross-category AOI/DI/SAA winners) will be profiled on an additional page on the AOI website. 3.2.1. The Awards Ceremony takes place at the private view of the Awards Exhibition in central London in summer 2019, date to be confirmed. 3.2.2. All shortlisted entrants will be invited to the event. Each Award Winner will be able to invite a guest. 3.2.3. Award Winners will be presented with a trophy and any prizes at the Awards Ceremony. 3.3.3. The AOI is not able to fund travel costs or any other expenditure incurred by illustrators to attend the Awards Ceremony. 3.3.1. All Shortlisted, Highly Commended and Award-Winning work will be included in the Awards Exhibition in London in Summer 2019. 3.3.2. It is a condition of entering the competition that the work is made available for the Awards Exhibition and Tour (if applicable) and catalogue as a high res digital file to be uploaded to the CreativeHub website. Shortlisted illustrators will need to set up an account with Creative Hub and follow the instructions to upload their work in the correct format. Original artwork or supporting work (e.g. published books, packaging samples) may be requested in addition, at the discretion of the exhibition organisers. 3.3.3. It is a condition of entering that shortlisted entrants agree to pay a hanging fee of £50 + VAT for inclusion of their shortlisted entry in the exhibition. The hanging fee is waived for category award-winning projects. 3.3.4. Entrants are responsible for any costs incurred for sending any original artwork or supporting work to the AOI for inclusion in the Awards Exhibition or Tour. The AOI will not return exhibits unless agreed in advance. Entrants are responsible for organising and paying for the collection of their original artwork or supporting work (either in person or by courier) at the end of the Awards Exhibition or Tour. Such work not collected within 12 months of the end of the Awards Exhibition or Tour will become the property of the AOI. 3.3.5. It is the responsibility of the entrant to provide high resolution files and, if requested, original artwork or supporting work for the Awards Exhibition or Tour, and to follow instructions as to how and when that should be sent. Failure to do so may result in work not being exhibited. 3.3.6. The final method of print and display is the decision of the AOI or any agents instructed in the delivery and design of the Awards Exhibition. 3.3.7. The prints contained within the Awards Exhibition or Tour will not be available for sale, however illustrators may opt to sell prints of their work via the AOI’s print shop, hosted in partnership with CreativeHub/Printspace, subject to an AOI commission and Printspace costs. 3.4.1. All Highly Commended and Award-Winning projects will be included in the touring exhibition (Tour). 3.4.2. Inclusion in the Tour is free. 3.4.3. The AOI reserves the right to share high res digital files with touring partners, to be printed to AOI specifications locally, only for the purposes of public exhibition. 3.5.1. All shortlisted and category winning work will be included in the Awards publication, which will be sent out to commissioners worldwide. 3.5.2. 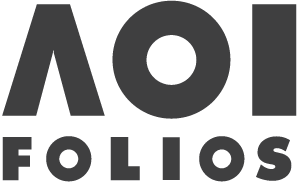 It is a condition of entering the competition that the AOI is granted a worldwide licence to reproduce selected work in the awards catalogue and any other print or digital material for the purposes of promoting the World Illustration Awards. 3.5.3. There are no fees for inclusion in the Awards catalogue. 3.5.4. Each shortlisted illustrator will receive one complimentary copy of the catalogue. Further copies will be available via the AOI’s online shop. 4.1. Where cash prizes are awarded they shall be payable by bank transfer in GBP (pounds sterling) only (subject to exceptions pursuant to clauses 4.10 and 4.11), within 30 days of the announcement of the Awards. Winners are responsible for covering any conversion or transfer fees they may be liable to pay to receive the cash prize. 4.2. Prize winners must ensure that they are able to accept the cash prize. 4.3. No prize will be awarded if the judges deem that there is no entry of sufficient quality to win the Overall Award. 4.4. Prizes are not transferable, and cash will be paid in one lump sum only. 4.5. Prize winners are fully responsible for any taxes, fees or duties due in any country where they may be liable to pay such deductions. The AOI is not responsible for advising on tax issues relating to prizes. 4.6. Any advertised prizes are not exchangeable for cash, or any other good or service. 4.7. Any advertised prizes cannot be transferred to any other person and will only be given to the named creator of the winning entry (and not any third party that entered the submission). 4.8. Where products are awarded as part of a prize the winner must collect the prize on the Awards Night in 2019. Charges may apply for posting prizes that are not collected in person. 4.9. The AOI reserves the right to withdraw advertised prizes at any time should circumstances dictate such a measure is required and will not be liable to provide compensation or alternative prizes. 4.10. The Professional Overall Winner will be awarded £2,000 payable by cheque in GBP only. 4.11. The New Talent Overall Winner will be awarded £1,000 payable to the winner by cheque in GBP only. 4.12. The Professional Overall Winner will receive a two-page spread marketing package in the Directory of Illustration No. 36, valued at $4,330 US Dollars. The program includes a 200-image professional portfolio on directoryofillustration.com plus a one-on-one consultation with a professional Directory of Illustration marketing consultant on how to best present their work to the American market. The winner will be responsible for providing artwork to Directory of Illustration by applicable deadlines. 4.13. The New Talent Overall Winner will receive a copy of the Directory of Illustration 36. 4.14. The AOI gives all Award Winners (Category Winners and SAA/AOI/DI Award Winners) a year-long, complimentary AOI membership with the usual terms of membership, worth £200. The membership is not transferable, or exchangeable for cash, or any other goods or services. 4.15. The AOI Member Award winner will receive a complimentary year-long membership with the usual terms of membership, a copy of the Guide to Law and the current AOI Advertising, Editorial and Publishing Directories, worth £296.95. 4.16. The SAA Agents Award for New Talent winner will receive a six-month trial representation with one of the leading SAA Illustration agents, which will include mentoring and career development. During that time, the winner will, in addition to the agent’s own marketing program, benefit from having their work showcased on the SAA’s News Blog as a featured article and across their social media platforms. 4.17. The DI Award winner will receive will a single page marketing package in the Directory of Illustration No. 36, valued at $2,695 US Dollars. The program includes a 100-image professional portfolio on directoryofillustration.com plus a one-on-one consultation with a professional Directory of Illustration marketing consultant on how to best present your work to the American market. The winner will be responsible for providing artwork to Directory of Illustration by applicable deadlines. 4.18. Each category-winning illustrator is eligible to receive a maximum of one year’s complimentary AOI membership. 5.1. The entrant agrees that, as a condition of entry, the AOI may, without seeking further permission from the creator, share images and information from the entry uploaded to the AOI website on its social media platforms, in digital marketing materials, and with partners to share on their social media platforms and digital marketing materials. 5.2. The entrant agrees that if shortlisted, their selected entry (including image and supporting information), the name of the creator of the work and entrant’s website may be published on the AOI website. 5.4. The entrant accepts that the AOI may sub-license its rights under clause 5.3 to AOI touring partners that host the Tour. 5.5. The entrant confirms and agrees that any shortlisted entry is available for re-use on the cover of the Awards Catalogue without any restriction or request for financial contribution. 5.6. Any third party submitting an entry (tutor, commissioner, agent or other) is responsible for contacting the copyright holder to ensure his/her consent to these terms. Any other use of shortlisted entries will be subject to negotiation with the copyright holders. 5.7. Any original artwork included in the Awards Exhibition for which a loan agreement is issued must be collected by the deadline after the end of the Awards Exhibition or Tour, which will be confirmed in writing. Any artwork not collected within the notified collection period will become the property of the AOI. Entrants are responsible for organising and bearing any costs related to collecting their work including postage, packaging and insurance. 5.8. The AOI reserves the right to cancel the competition or any element thereof should insufficient entries be received or any other circumstance arise that makes it necessary for the AOI to cancel the competition or any part of the competition. The AOI has no financial obligation to any entrant for cancellation, and no compensation shall be due. 5.9. The World Illustration Awards are organised and administered by The AOI in the UK. 5.10. These terms and conditions shall be governed by English Law. 5.12. The AOI reserves the right to amend these terms and conditions at any time during the competition.